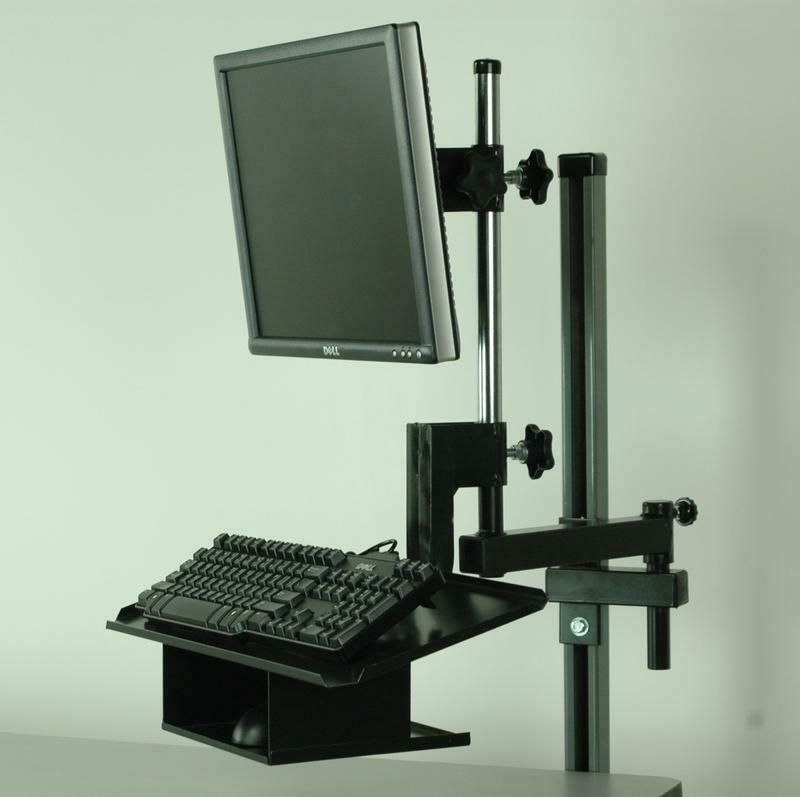 We offer a wide variety of heavy duty articulating monitor arms and keyboard trays that will accommodate both regular and flat screen style computers. All of our swing arms are made with 1 1/2" 16 Gauge box tubing for exceptional strength noticed especially when articulated out to the full extention. We use these same brackets and swing arms to support printer trays that are rated up to 50 lb. capacity.